Our FD and HD-05 models are floor-style environmental test chambers with 5.092 cubic feet (144.189 liters) of working volume, and external dimensions of 31.5"W x 39.3"D x 66.7"H (800.1W x 998.2D x 1694.2H mm), including two low to high-temperature range configurations as shown below. The HD configuration, includes a steam generator and dehumidification coil, giving a humidity range of 10%RH to 98%RH. 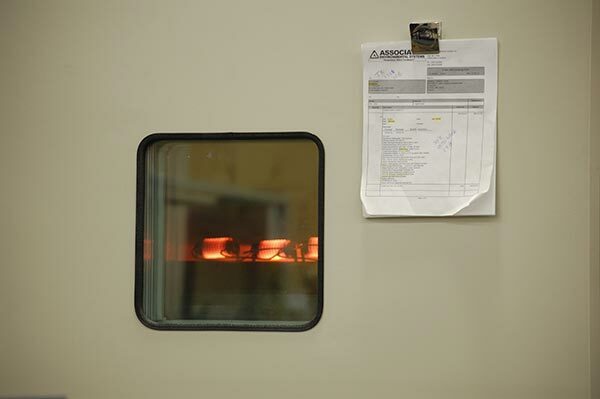 We use a vapor generator system to control the humidity within our test chambers. The vapor generator is a closed steam generator that can be sized to fit any chamber which offers quicker steam generation, but also can result in built up sediment. The humidity range on most test chambers is 20% to 98% +/-2% RH (Relative Humidity). The range can be lowered to roughly 5% RH with the use of a dry air purge. Available for any test chamber with a humidity system, the continual humidity package allows users to recycle water used for humidity testing, eliminating the need for hard-plumbed water access and expanding the capability of autonomous testing. The dry air purge features a desiccant dehumidifier which pulls moisture from the air using an active desiccant material, a hygroscopic substance that induces dryness in its vicinity. 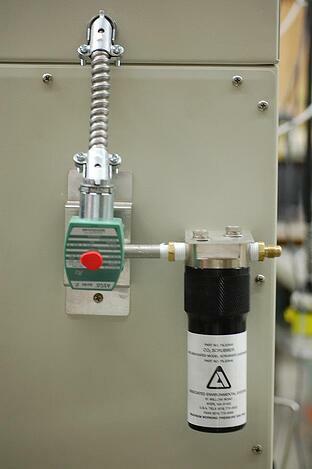 As the ultra dry nitrogen, which has a dewpoint of -70 degrees, is introduced into the enclosed cavity, it expands and places the test item under pressure, removing any residual moisture from the test product and internal test chamber environment. Desiccant dehumidifiers have a more complex principle of operation but perform exceptionally well in colder climates or when there is a large amount of moisture in the air. 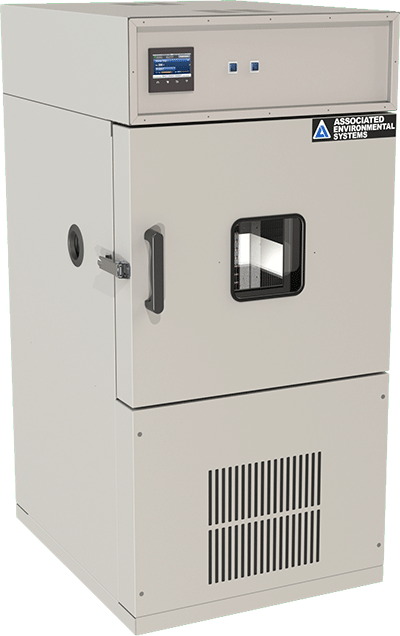 Temperature/Humidity environmental test chambers are commonly paired with dry air purge systems which reduces the humidity index of the chamber interior at a much quicker rate than a natural rate. Temperature only chambers may also benefit from a dry air purge system if the user wishes to control the residual moisture that is generated with temperature changes within the chamber interior. 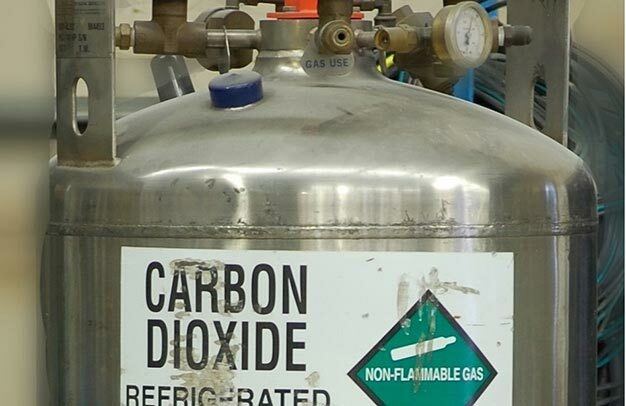 Dry nitrogen may also be used as a dry gas purge method.